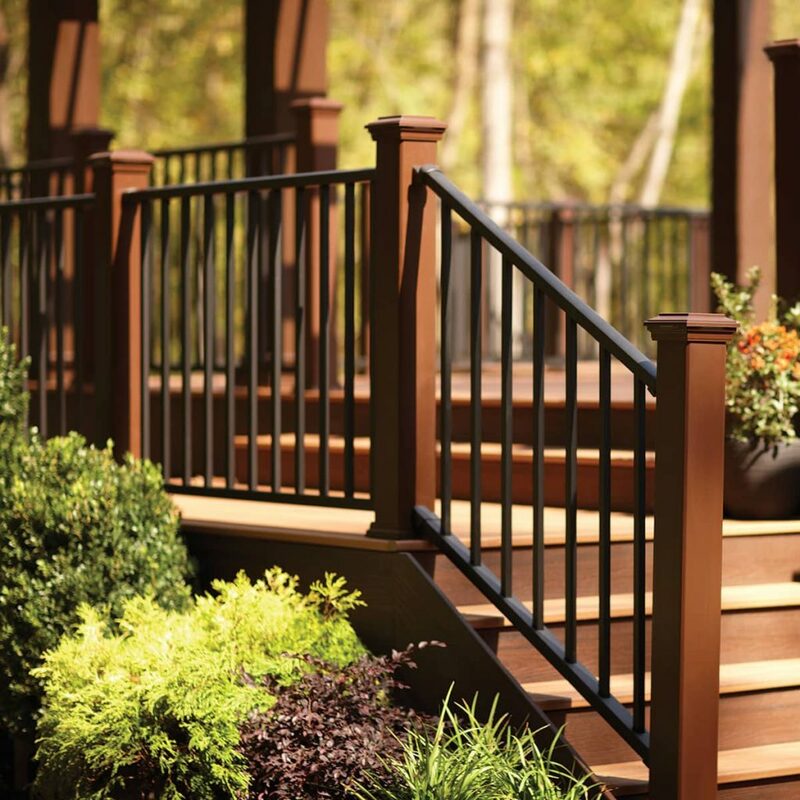 The finishing touch on a composite deck, vinyl deck, or wood deck is a matching railing system. Our railings are strong enough to endure extreme heat and cold, as well as active children and grandchildren. Protect little ones from spills while adding a striking architectural detail to your decking. A wide variety of railing styles and designs are available to complete your vision. Our railings are available in several styles that you can mix and match to achieve your desired look. Whether you want something traditional, something that makes a statement, or something that gives you the maximum possible viewing area, we have a solution. Our composite railings, vinyl railings, and wood railings are available in multiple colors and styles, from Antique White to Traditional Walnut; curved railings to straight ones. No matter how much it’s blowing outside, our deck railings will stand strong. These railings are tested and evaluated for their performance and come with a 25-year limited warranty. Select styles come with galvanized balusters that are stronger than aluminum. Our railings require very little maintenance to keep them looking brand-new. No painting or stripping is required. And, with their easy installation, you’ll be able to enjoy your railings with minimum effort on your part.